When people think of punch being ‘spiked’, it’s rarely spiked with something as delicious as champagne. 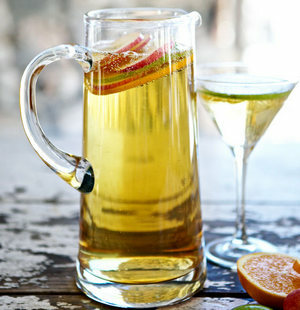 This champagne apple punch is a perfectly boozy drink for a get-together with family or friends. The unsweetened apple juice and brut champagne create a dry and fresh bite that livens up the atmosphere at any party.